This is just my opinion and could be wrong. But I felt I have to post this. 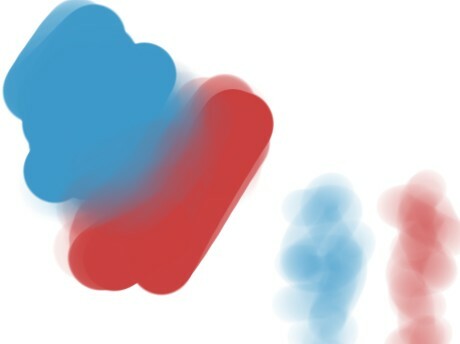 But generally I set the pen pressure only on opacity for my brushes. Because the strokes get really dirty when I enable pen pressure on flow. Especially in low pressure it looks like this. *Color : Black(#000000). Pen pressure enabled on both flow&opacity. Importantly this is a single stroke done without pressing the pen any harder. But in Photoshop it doesn't happen even when you enable pen pressure on both opacity and flow, furethermore it looks more smooth and nice. Done with single stroke in low pressure, without pressing the pen any harder. So in Krita I have to use pen pressure only on opacity to avoid dirtiness, and it sort of works, but it's not as smooth as the one above because it simply adds the same amount of opacities mechanically. *Color : Black(#000000). Pen pressure enabled on opacity. 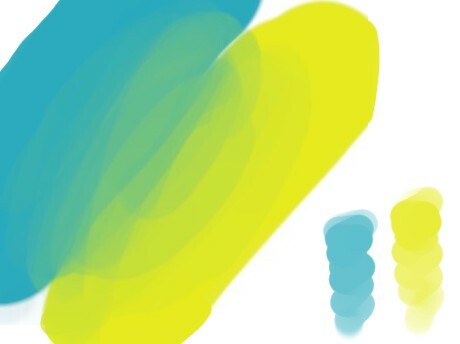 1 The pen pressure on flow should make the brush strokes smoother&creamier than 'opacity-only' strokes. 2 But in Krita it gets soooooooo dirty when pen pressure is enabled on flow. 3 And in Photoshop it doesn't happen. And I think the reason is because, in Photoshop, the flow is limited by opacity, somehow. So It keep overlaps until it reaches the maximum opacity of color, ignoring the opacity you're trying to apply by pen pressure. I'm tired of using mixer brush everywhere to make certain edges smooth..
Hope this idea help on next development. Last edited by ire kim on Mon Sep 19, 2016 10:44 am, edited 4 times in total. Yeah. I've tried every profile and It looks the same. I mean It's not actually a 'problem'. I've seen this happens in many free painting tools, but not in Photoshop. I hope krita's brush engines to be improved in this regard. Last edited by ire kim on Mon Sep 19, 2016 10:45 am, edited 1 time in total. The below image is what i get with my basic render brush. I adjust the spacing according to my needs. I recreated this brush from my previous photoshop brush. I hope this is similar to what you are looking for. You can download this brush from my brush pack here. P.S. also try the 'Greater' blending mode in mix section of blending mode. it helps in achieving better results. Thanks for answering. That's a great brush! But I didn't mean 'softness'. 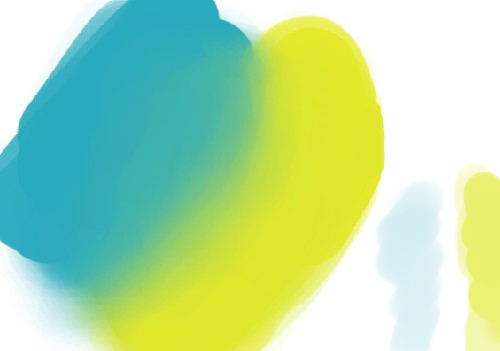 In photoshop even the normal hard-round brushes can make the creamy strokes while they can make hard strokes as well. It gets overlaped as I move the brush to fill the area until It reaches the maximum opacity of the color in a single stroke. Overlaps like that must happen in multiple strokes, or under the opacity and not like this. So I usually set the pen pressure only on opacity to avoid that, and it starts to draw the hard edges all the time just like it's supposed to..
Last edited by ire kim on Wed Sep 21, 2016 10:24 am, edited 8 times in total. Sorry for keep posting additional pages accidently. I just pressed the edit button and this happens. Idk how to delete my posts. Last edited by ire kim on Tue Sep 20, 2016 2:17 pm, edited 1 time in total. The main difference in PS is probably how the brush tips and parameters were designed: slight softness on the edges to avoid dirtiness, low spacing... Krita's default brushes are quite different, and not necessarily designed to work well with flow, which few presets seem to use by default. You'll just have to setup your brushes differently in Krita, as the parameters don't work the same. You can use the greater blending mode as advised above and you'll never have any issue, or setup your brushes with a low spacing, a little bit of softness... all that to avoid issues. I personally use the color smudge brush engine a lot, and you won't face that kind of problem with it. This is by keeping the flow and opacity curves to default. for more fine grained control I would suggest you edit the brush settings. don't think them as equivalent setting as photoshop brushes they behave differently as gduest says above. I've also discovered this issue recently when trying to convert some of Photoshop brushes to Krita. They are smooth and great to control in Photoshop but look choppy and muddy in Krita. That's too bad because some of my favorite brushes use this combination in PS. Not sure if I can replace them with anything else. So far the transition from PS to Krita is very bumpy. If features already exist in Krita (such as increased blending) to make brush-strokes cleaner, wouldn't it be a good idea for somebody to make a post / tutorial about how to re-create Photoshop-like brushes in Krita with Krita's own brush-engine in mind? After all, the brush engines just don't work the same way, so Photoshop users would likely need some hints on how to work-around this difference. You'd need someone who knows photoshop pretty well for that, and there is nobody on the Krita team who has used photoshop extensively, and most people haven't used it at all. We are, after all, not into making a photoshop clone. boudewijn wrote: You'd need someone who knows photoshop pretty well for that, and there is nobody on the Krita team who has used photoshop extensively, and most people haven't used it at all. We are, after all, not into making a photoshop clone. Bummer ... this is a pretty discouraging standpoint. Sorry to hear that. I don't know PS that well but I know krita good enough to successfully recreate ps brushes in krita. Especially now, with stacked brushes. About this creamy effect - just use texture strength instead of flow. Just choose any texture, set mode to multiply, brightness to 1 and play with curve.